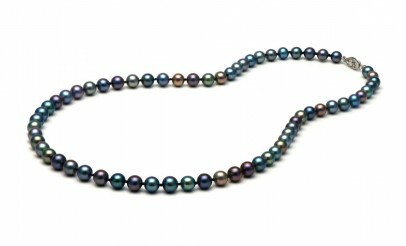 The pearls are black in color with high luster, medium nacre, slightly off-round, and lightly spotted with good uniformity. Each set has been appraised at a $550 value. The appraisal is based on research of current market value and the "Gem Guide" published by Gemworld International, Inc. If you choose "Pick Up", the Super Saver Media office is located at 14441 S 980 W in Bluffdale, UT (Monday - Friday from 9am to 5pm). You must bring a copy of your order confirmation and ID.